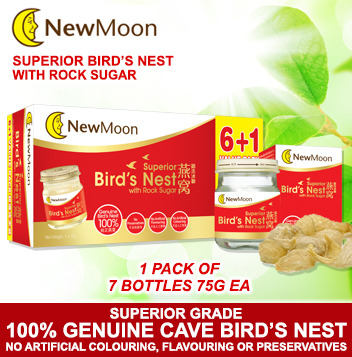 New Moon Superior Bird’s Nest with Rock Sugar is made from superior grade 100% genuine cave bird’s nest. 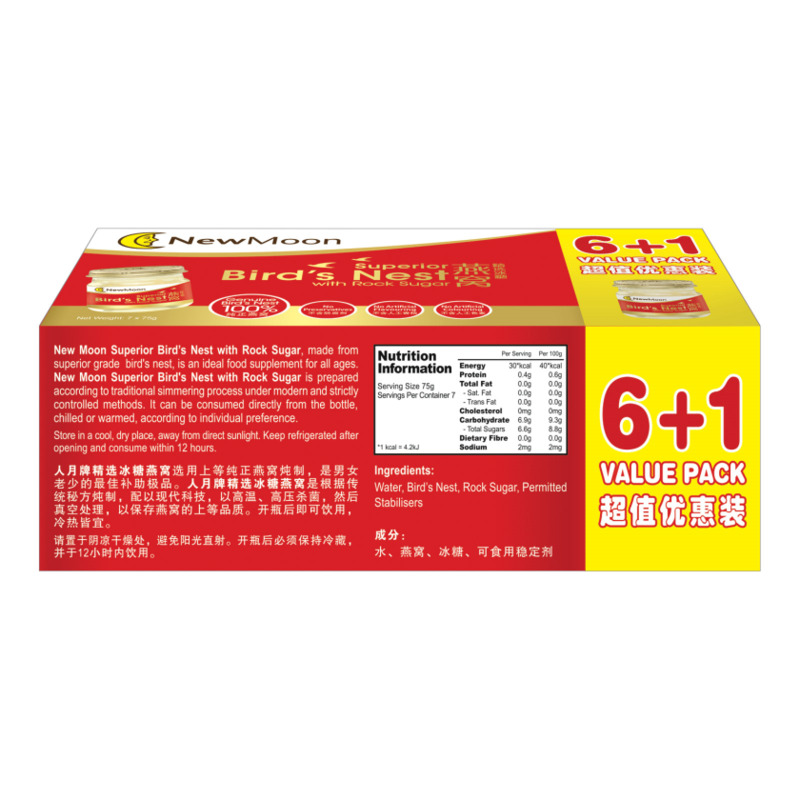 Cave bird’s nest is built by swiftlets in natural stone walls or limestone caves, this type of bird’s nest absorb lots of minerals and taste better. 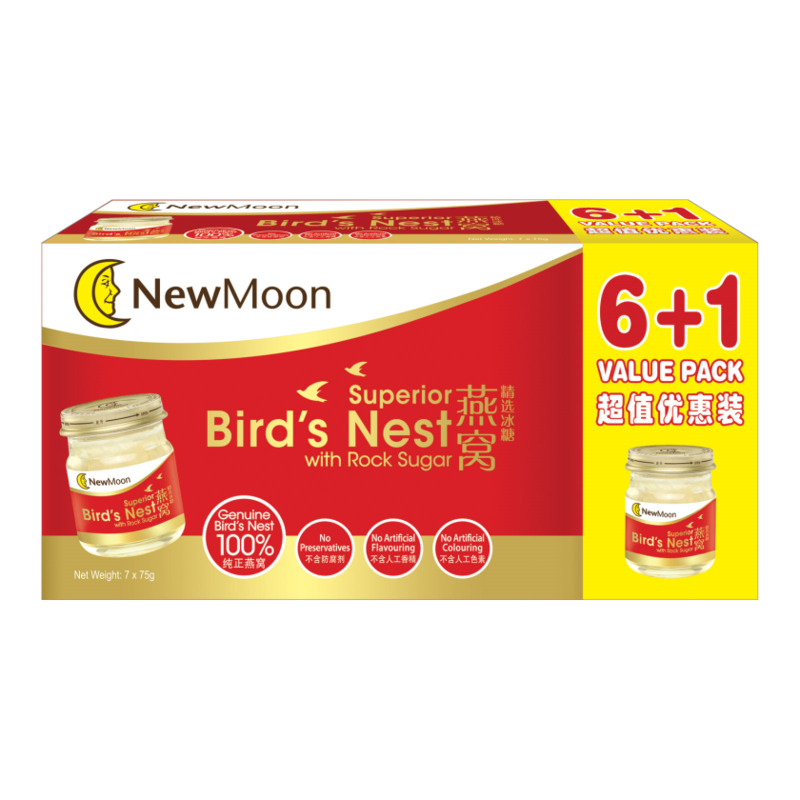 Each bottle of New Moon Superior Bird’s Nest with Rock Sugar consists of high content of soluble proteins, vitamins and minerals such as calcium and potassium that are essential for overall health. Bird’s nest also contains the Epidermal Growth Factor, EGF, which is also known as the ‘genes of beauty’. It is an important polypeptide hormone which promotes overall skin wellness. New Moon Superior Bird’s Nest with Rock Sugar is prepared according to traditional simmering process under modern and strictly controlled methods. It is an ideal food supplement for all ages. It can be consumed directly from the bottle, chilled or warmed, according to individual preference. Water, Rock Sugar, Bird’s Nest, Permitted Stabilisers.